A little less on an insane day here today so there will be more posts. This time there are already some good free fiction items. 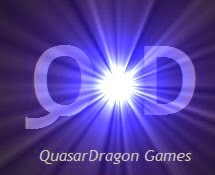 Back soon with more Free Fantasy, Science Fiction, and Horror. • At Daily Science Fiction: "Marrakech Express" by Milena Benini. "Marrakech Express hurdles its great bulk through stringspace. There is no speed in stringspace, but hopping as it does from one planet to the next and trading for a day or two at each, Marrakech Express could be called slow." 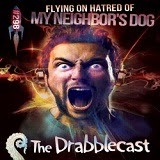 • At Drabblecast: "Flying On Hatred of My Neighbor's Dog" by Shaenon Garrity. Comedy. Sci-Fi. "I know my neighbor’s dog as a bark: a deep, dark, venomous yawp that begins and ends on a snarl. It’s loud, louder than it should be. Earplugs do nothing. It penetrates. Once it starts, it continues, relentlessly, for a period ranging from one to four hours. It can start at any time, day or night, dropping from the veils of morning to where the cricket sings." • At HiLobrow: "The Man with Six Senses - Part 13" by Muriel Jaeger. Scince Fiction. 1927. "I ought, of course, to have warned Hilda of our coming, but it was already late afternoon, and I did not wish to let Plumer’s offer remain unclinched an hour longer than was necessary. Thus it was that we came in upon Michael lying on the couch, his face the colour of lead, while Hilda was bending over him, giving him brandy." At 365 Tomorrows: "The Indiginous Harvesters Project" by Desmond Hussey. Science Fiction. At Weirdyear: "Geese" By Lance Manion. Weird Fiction. • At Classic Tales PodCast: "The Furnished Room" by O. Henry. Horror. "Restless, shifting, fugacious as time itself is a certain vast bulk of the population of the red brick district of the lower West Side. Homeless, they have a hundred homes. They flit from furnished room to furnished room, transients forever - transients in abode, transients in heart and mind"
• At Drabblecast: "Flying On Hatred of My Neighbor's Dog" by Shaenon Garrity, read by Nathan Lee. Comedy. Sci-Fi. "I know my neighbor’s dog as a bark: a deep, dark, venomous yawp that begins and ends on a snarl. It’s loud, louder than it should be. Earplugs do nothing. It penetrates. Once it starts, it continues, relentlessly, for a period ranging from one to four hours. It can start at any time, day or night, dropping from the veils of morning to where the cricket sings." and Drabble: Crisis of Competence by Travelin' Corpse Feet. • At LibriVox: Space Platform by Murray Leinster, read by Mark Nelson. "SPACE PLATFORM tells the exciting story of a young man helping to build this first station. With scientific accuracy and imagination Murray Leinster, one of the world's top science-fiction writers, describes the building and launching of the platform. Here is a fast-paced story of sabotage and murder directed against a project more secret and valuable than the atom bomb." 1953 Novel. • At Tales to Terrify: "A Crow Among the Sparrows" by John Dodds, narration and musical bridges by Jonathan Taylor. Horror. Fiction at Spinetingler: "Time and Tides" by Zen McCann. Flash Fiction at Every Day Fiction: "In the Beginning" by William L Stolley. Poem at Leaves of Ink: "Now That I Desire" by Michael Lee Johnson.